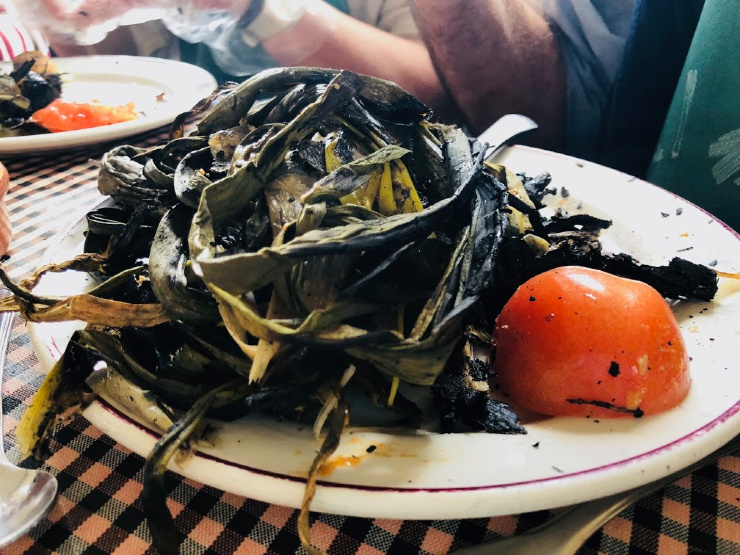 Before moving to Barcelona a friend of mine that had lived in Barcelona for many many years told me about some strange food tradition that she loved and missed dearly. I vaguely remember her explaining to me something about getting together with a bunch of friends to drink wine and peel some sort of vegetable that made your hands turn all black. While she was extremely enthusiastic about this local tradition, if I’m being honest it sounded a bit odd. 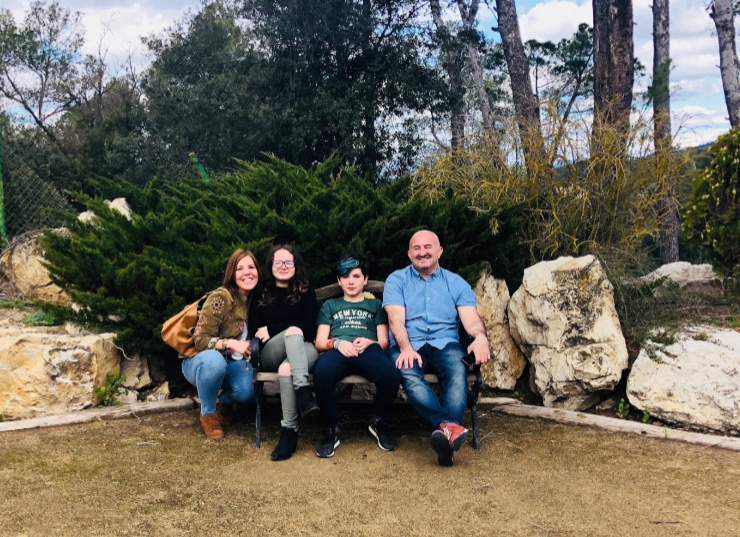 And then, we were officially invited to a Calçotada! What the hell is a Calçotada!? 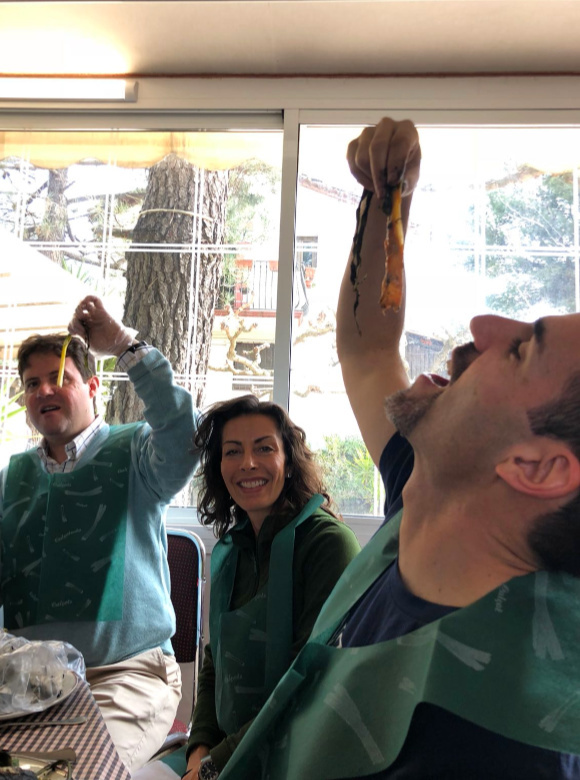 A Calçotada is pretty much a Catalan BBQ, or so I was told. 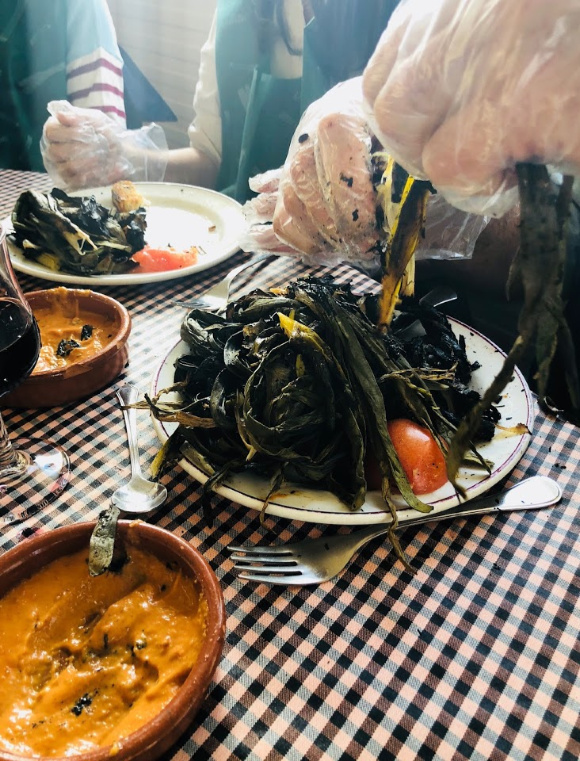 Between the months of December and March is when the calçot season is in full swing and all the locals are getting their calçotada on! 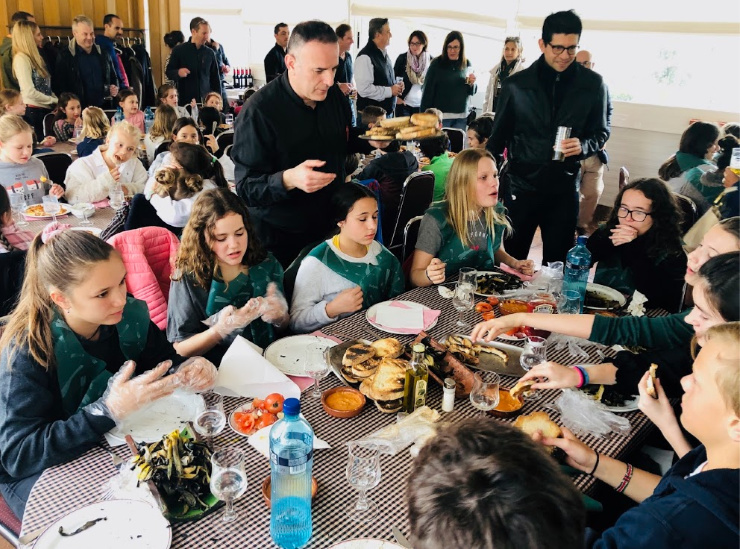 Our kids’ school organized a family event for families to experience a traditional Calçotada. 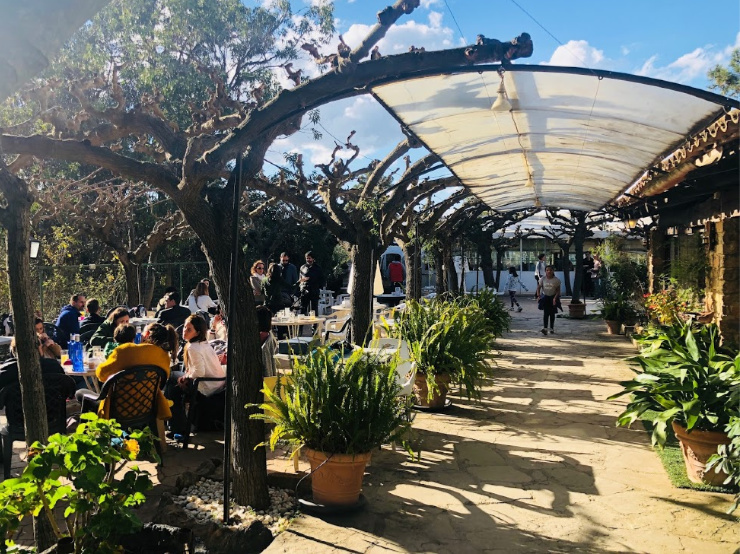 It was held at a beautiful Catalan farmhouse and restaurant called Can Tintorer. After doing a little research, I realized that this was the Catalan tradition my friend had explained to me years ago! I signed our family up immediately. 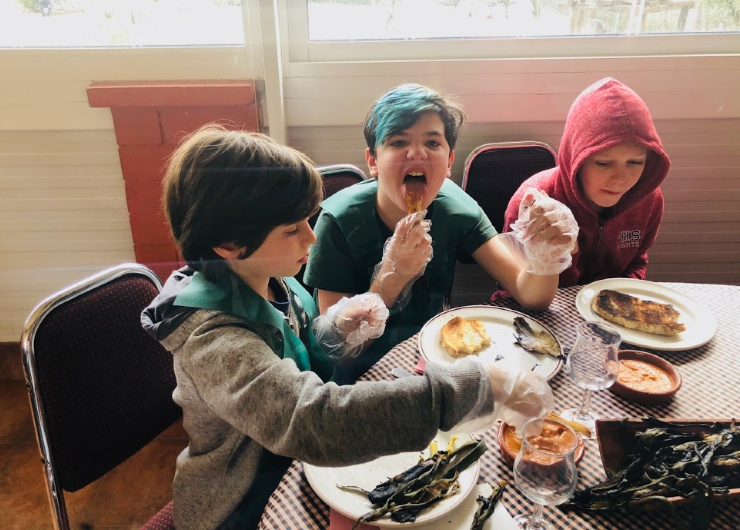 Even though I was still a little unsure what exactly was going to happen or what the Calçots would taste like, I knew this was something we had to experience! First they brought out the traditional pan con tomate and the wine. 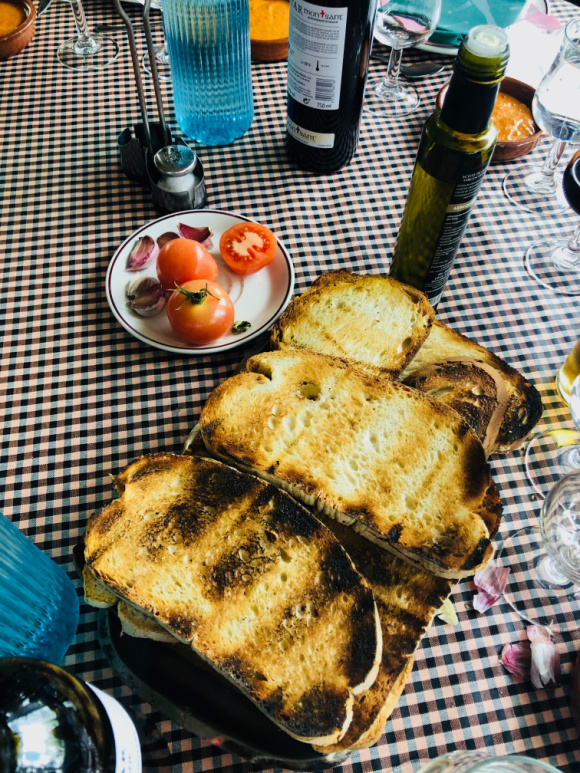 “Pan Con Tomate” – Toasted bread, rub garlic on the dry bread, cut tomatoes and rub the inside of the tomato all over the bread, drizzle with olive oil, sprinkle with salt and EAT! 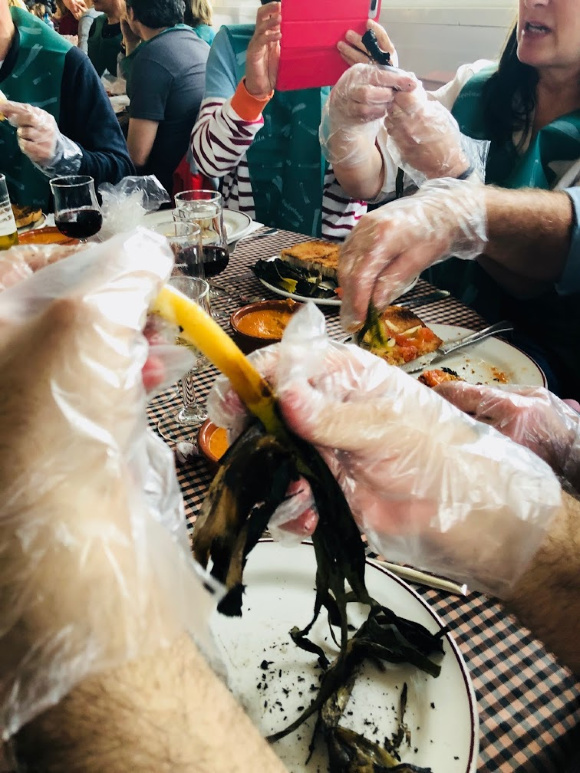 Step Two: PIck up A Calçot and peel the black char off the Calçot. 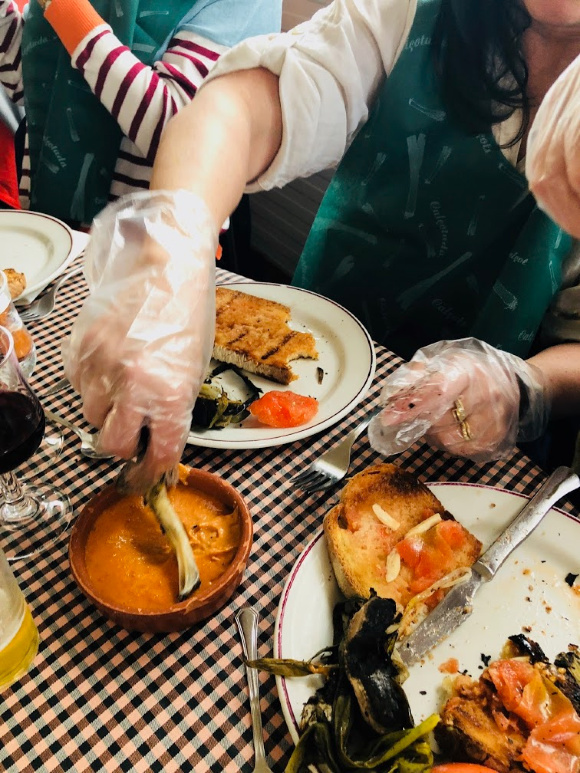 Step THREE: Dip the Calçot in the traditional Catalan Calçot Sauce. 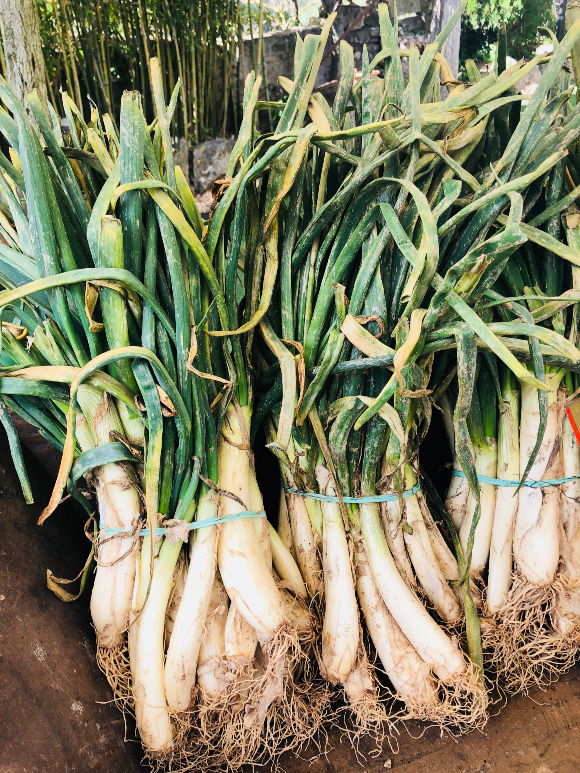 Step FOUR: Lift the Calçot Up, Tilt your head back and eat them from the bottom to Top! This is how a true Catalan eats them! We were then served a variety of grilled meats and potatoes with some very flavorful white beans. 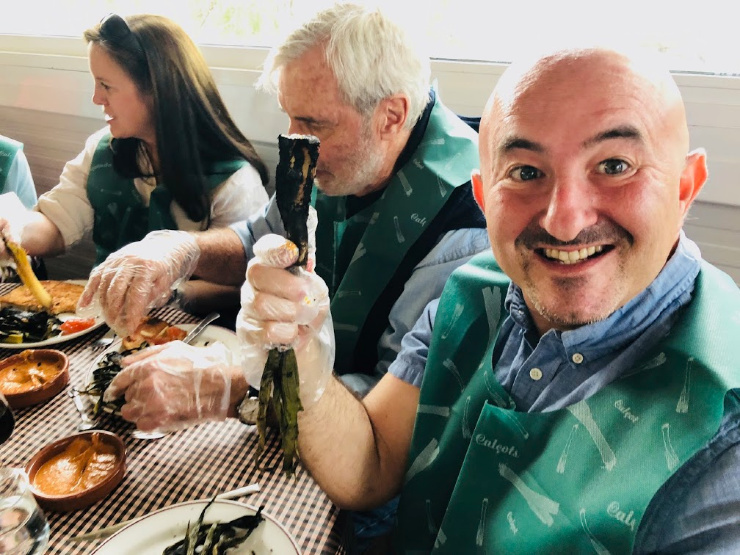 We drank a lot of wine (or I did) and laughed at all of us wearing bibs and how we were unsure how we would feel later after eating so many calçots..!!?? 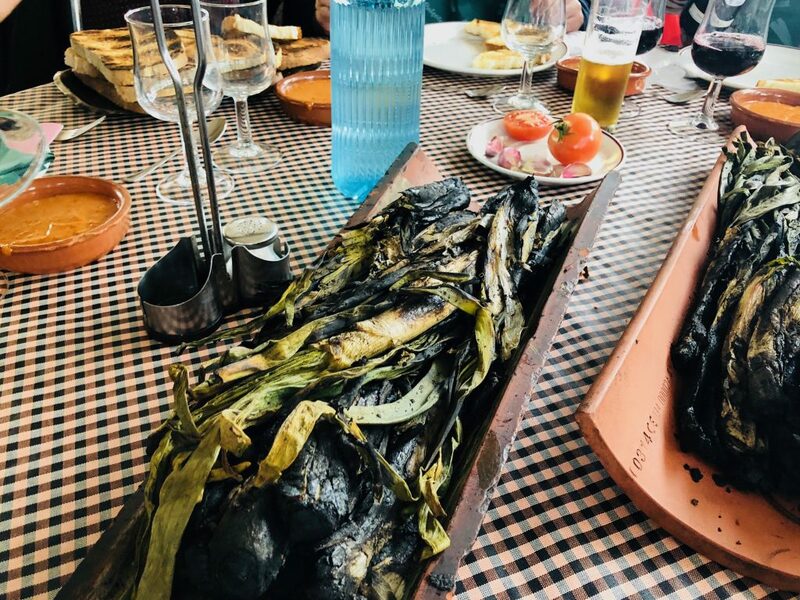 This traditional Calçotada was SO much fun and after we left, I felt like a true Catalan!